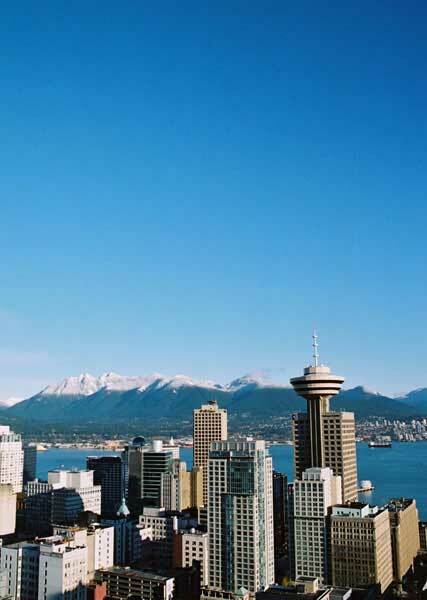 It’s often hard to decide where to go first in Vancouver BC, but the Harbour Centre Tower is a fun and logical choice, especially for first time visitors who haven’t yet planned their itinerary for their stay in this most fascinating of cities. 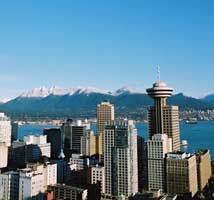 Grouse Mountain and sometimes clear out to Vancouver Island or to Mount Baker in nearby Washington! 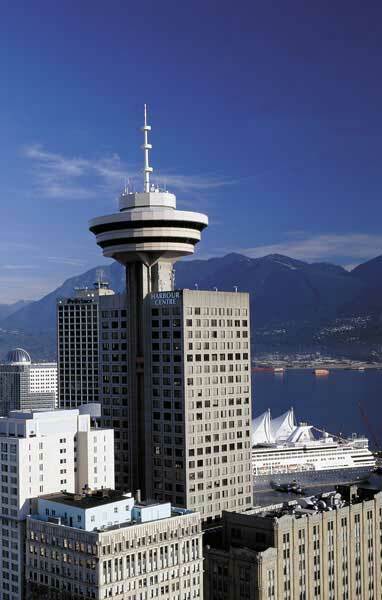 The tallest building in British Columbia, the Harbour Centre Tower observation deck officially opened for business three decades ago on August 13, 1977. Neil Armstrong, the first man on the moon, presided at the opening ceremonies, leaving his footprint cast in concrete for all to see. The ascent to the top of the Vancouver Lookout is via an elevator which climbs the outside of the building. 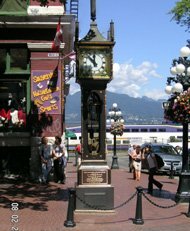 This ride takes less than 50 seconds and has thrilled millions of Vancouver visitors over the years. 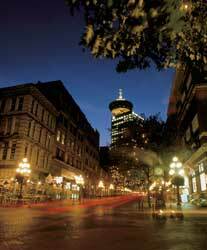 The Tower is open all year long from about 9 am to 9 pm with extended hours offered during peak tourist season. Rates are reasonable and once you purchase a ticket, you can come back as many times as you’d like throughout that particular day and night to enjoy the view. 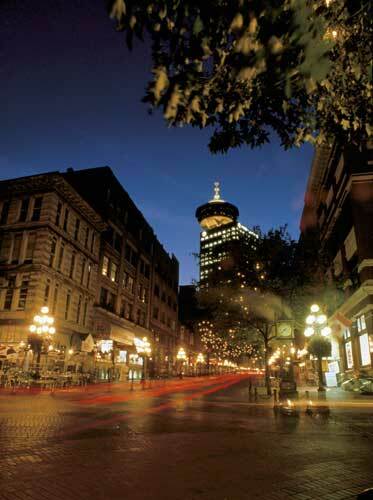 That gives visitors an opportunity to experience the magnificent sights of Vancouver after the sun has set and the city is illuminated with millions of lights. On this level, there’s also a small gift shop as well as a snack bar where you can grab a quick sandwich and a beverage. There’s also a small theater featuring an interesting multi-image production about the city. Visitors to the Harbour Centre Tower will also find two floors full of stores at the base of the tower for their shopping pleasure and convenience. 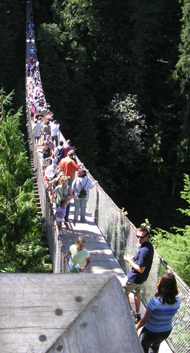 Photos on this page courtesy of Vancouver Lookout. Copyright ©2006-12 Abbey World Media, Inc.